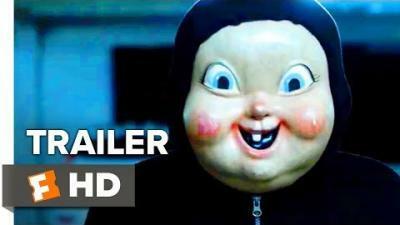 Here is an ironic alternate ending video for the surprise hit Happy Death Day (2017) where Tree Gelbman (Jessica Rothe) wakes up nice and safe just to run into another killer. Trying not to spoil this video but it is funny that the director also had this alternate ending on the back burner. Would you have rathered this ending instead? Thanks to New Trailer Buzz for posting this video. Official Synopsis: A teenage girl, trying to enjoy her birthday, soon realizes that this is her final one. That is, if she can figure out who her killer is. She must relive that day, over and over again, dying in a different way each time. Can she solve her own murder?